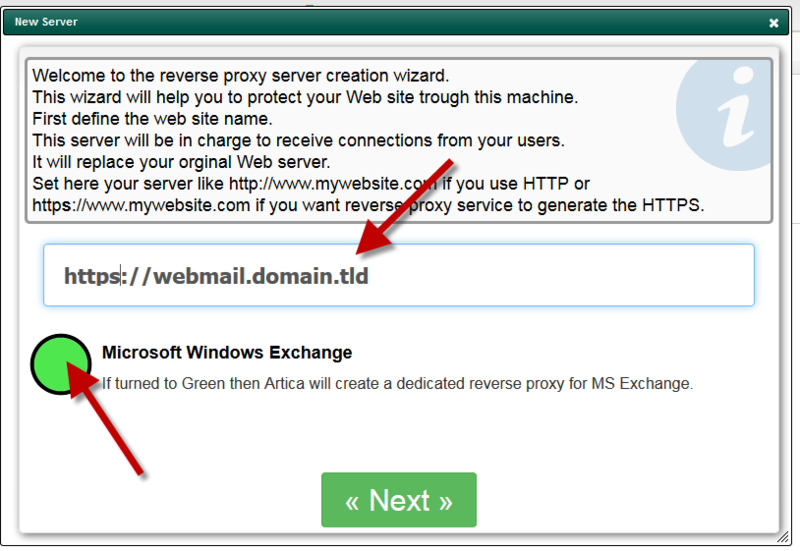 The 2.25.102301 Artica version or above allows you to protect your Microsoft Exchange server 2010/2013 trough the Reverse-Proxy service. 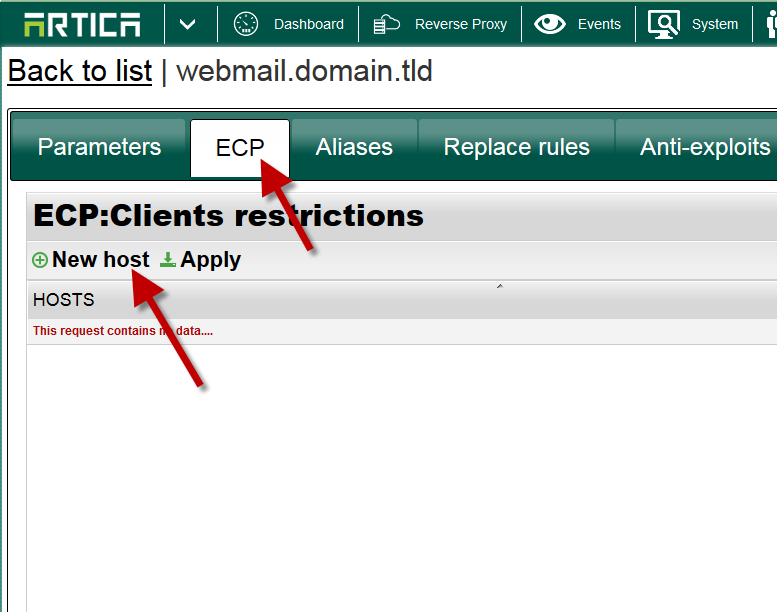 On the Artica Reverse Proxy. 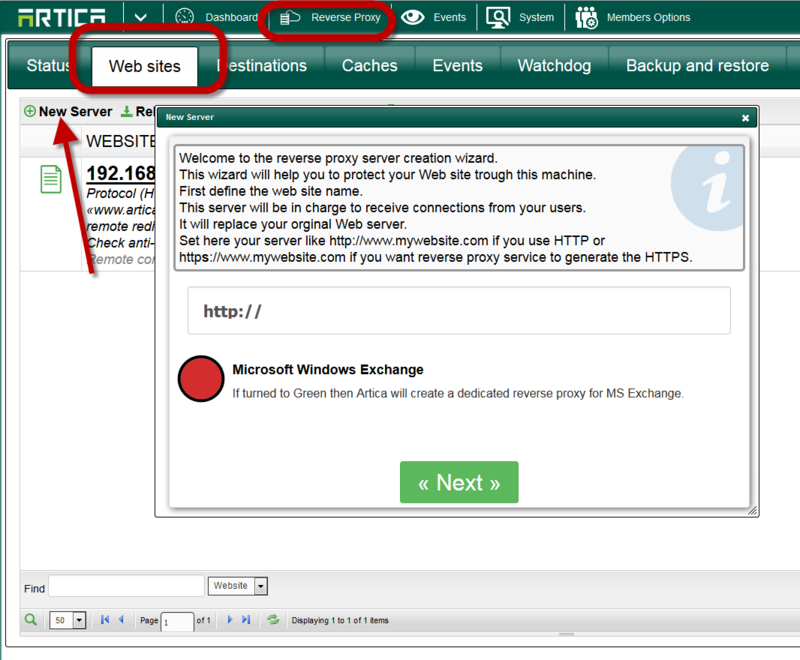 Turn to green the Microsoft Windows Exchange option. 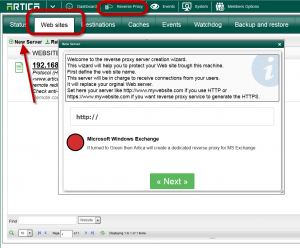 Define the public host-name of your reverse proxy service. 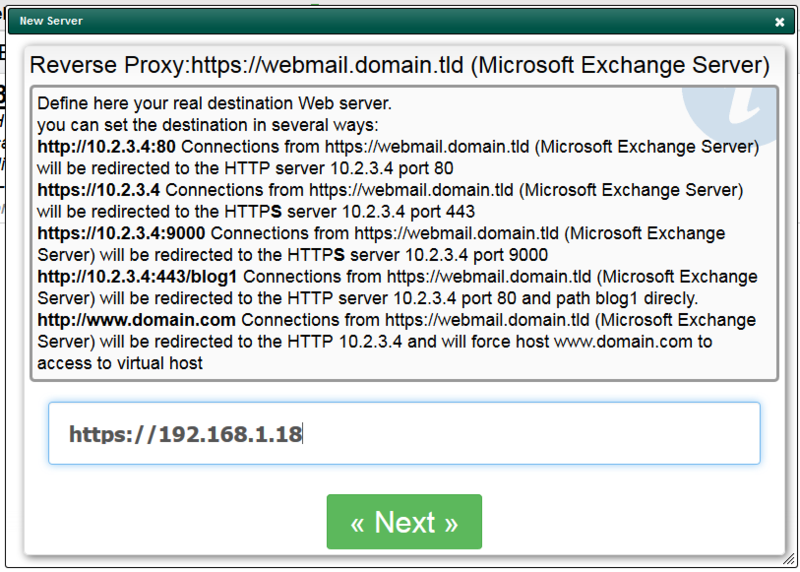 On the Next section, define where your MS Exchange server is. 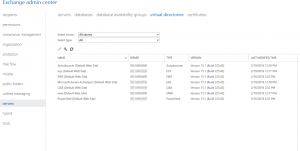 Click on ECP tab in order to restrict accesses to the configuration Manager to only IP/networks listed on this section. 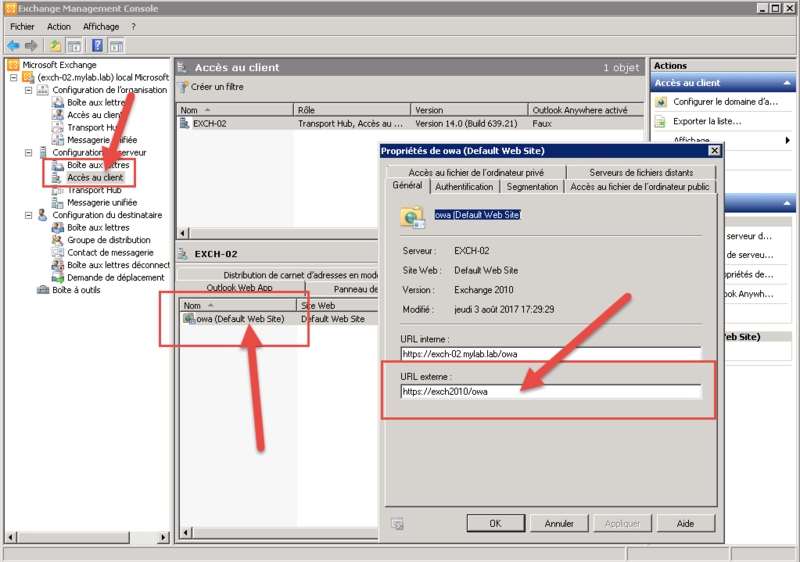 Open the Administration console, go into Client Access add the address set for the reverse proxy in External URL section. 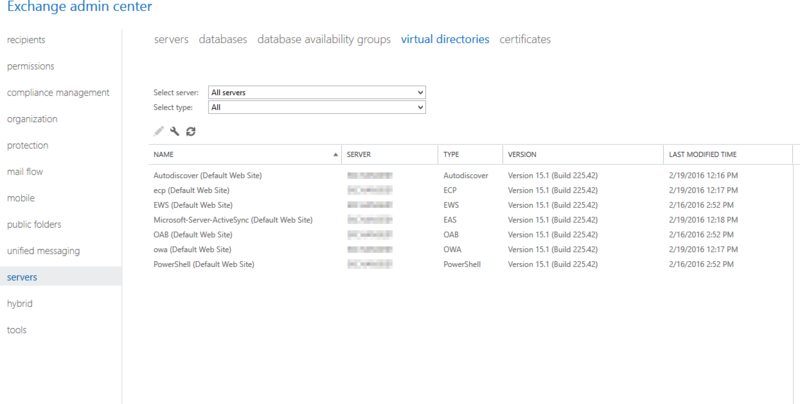 Set it for all services. 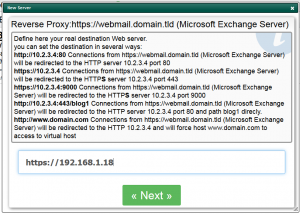 Configure the external hostname for Outlook Anywhere. 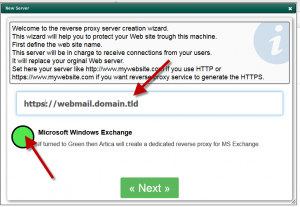 C:\> Set-OutlookAnywhere -ExternalHostname webmail.company.tld -identity "serverRpc (Default Web Site)"
Configure Basic authentication for Outlook Anywhere. 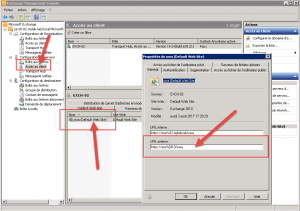 Configure Offline Address Book (OAB).